Dalton is an intern at Seaman Corporation. 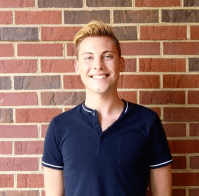 He is a Public Relations and Strategic Communications major at Miami University. Food processing and data center industries provide a huge demand for durable and reliable roofing systems. These industries face extensive threats when it comes to building maintenance, sanitation and safety, many of which can be prevented with the right roofing system and installment. In part two of this blog series, we discussed the three biggest roofing concerns for food processing facilities. Today, we're talking about data centers and the importance of the right roof structure. In the education sector, providing students the opportunity to learn and grow is of utmost importance. Educators, superintendents, school boards and facility maintenance managers are obligated to ensure every student has access to a quality education. But in order to administer that quality education, your district must first have safe and structurally sound facilities. Environmental experts say 2017 will be a year of exciting change and development in the sustainable roofing industry. More than ever, roofing manufacturers and building owners are looking to decrease their carbon footprint, reduce waste and harmful emissions and ultimately, save money in the long-run. In the roofing industry, these cost-saving, energy-efficient roofing systems are referred to as “cool” or “warm.” Traditional sustainable roofs market themselves based on pigmentation: “white” to reflect the sun, “black” to absorb heat and “blue” to capture and store water. Today, much of this has changed as manufacturers are altering coating formulas and the chemical makeup of the membranes to be more eco-friendly. Other than the membrane itself, sustainability processes can originate in the manufacturing and fabrication stages and trickle down all the way to final product installation. This is, however, independent of a manufacturer’s business model and operational processes. What does this mean for the roofing business? Politics and social opinions aside, a business is a business. The cannabis cultivation industry is growing rapidly as the federal and state deregulation of medical marijuana increases every year. To date, 25 states including Washington D.C. have passed laws allowing the prescription-based use of medical marijuana. Accompanying the rise in legalization is the demand for construction and development of cultivation manufacturing facilities, distribution centers and testing labs. By 2020, the overall U.S. marijuana market is projected to exceed $22 billion, an evaluation that is expected to inflate tremendously in 2017. Due to the advancements in agricultural technology, cannabis can be grown indoors year round. Cultivation facilities are growing by the hundreds throughout the U.S. in order to service the demand of nearly 1.5 million prescribed medical marijuana patients. Food processing and data center industries provide a huge demand for durable and reliable roofing systems.These industries face extensive threats when it comes to building maintenance, sanitation and safety—many of which can be prevented with the right roofing system and installment. 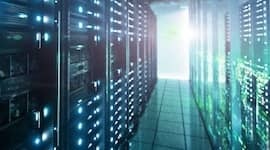 In part one of this blog series, we discussed the 3 Reasons Why It’s Crucial to Have a Robust Roof on Data Centers.Today, we’re talking about food processing facilities and the importance of the right roof structure. With more than 35+ years of experience, FiberTite has proven that performance speaks for itself and has a reputation to back it up.